We offer both dog and cat collars, the sizes you see are for dog collars, if you would like a cat collar please select this from the dropdown. Please see below for more information. Available in 10mm and 15mm width options, making them ideal for small dogs and puppies. Please make sure you check the measurements of our sizes below before ordering to make sure you get the perfect fit and width for your dog. Please note these sizes are approximate, there may be a very slight difference. If you require a different size or are unsure which will be best, please contact me as they are all handmade to order so I can easily alter the size to suit. Designed with small dogs and puppies in mind as they are lightweight, soft and comfortable for little necks. Collars are handmade with quality fabric, a metal D-ring plastic adjuster and contoured quick release buckle. I always recommend the use of a harness over collars when walking your dog. 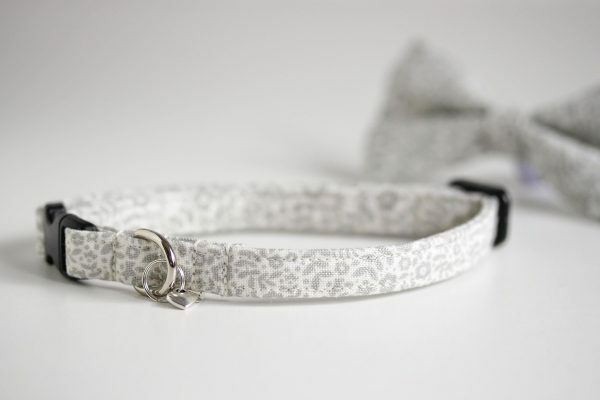 If you would like this design in a cat collar please select this from the dropdown menu. 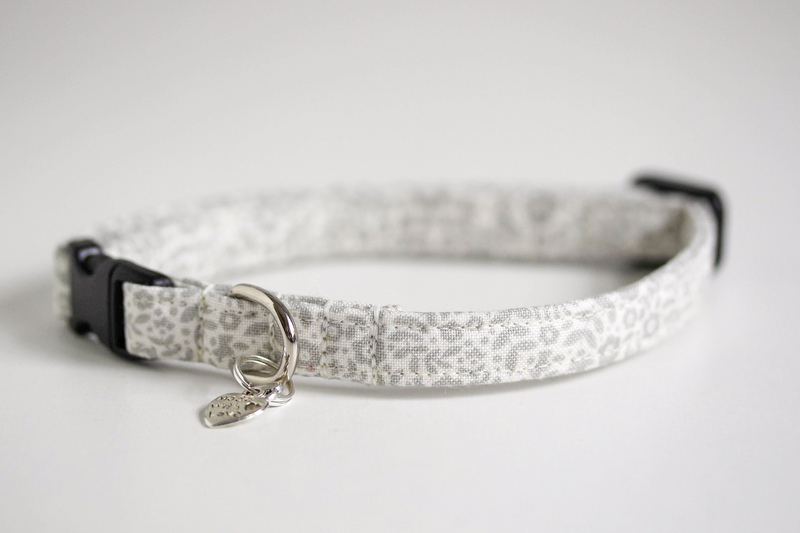 All our cat collars are made using safety release buckles. If the collar is caught on anything whilst your cat is out adventuring, the buckle will release itself under mild pressure ensuring your cat can get away unharmed. They are 10mm in width and will be adjustable between approximately 19-25cm. If you would like it made to measure please just let me know your cats neck measurement and I will make it to suit, it will still be adjustable. All cat collars come with a detachable silver bell on the D ring. It is up to you to decide the suitability of the collar for your pet. Please check the collar regularly for wear and tear; it is up to you to decide if it is no longer suitable for use. No responsibility will be taken if your pet for any reason came into or caused any harm whilst wearing the collar. Note you will not receive the exact collar shown in the photos, different parts of the fabrics vary. I do my very best to portray the correct colour in my pictures but the colour may vary slightly due to different screen configurations.